A great surprise for us in Lawrence was meeting Jan the Butcher. We tend to shop daily so we’ve connected with Jan quite often as we tried to decide what to cook for dinner each night. 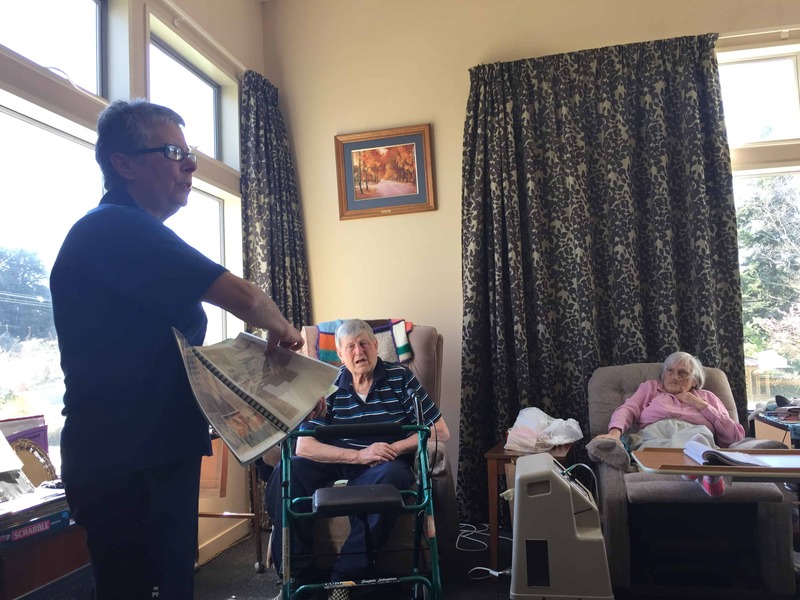 The story of Jan’s career as a butcher is really interesting and she told us about a talk she would be giving at the local aged care home and suggested we come along. Hey why not, should be fun and we’re always on the lookout for different things to do. 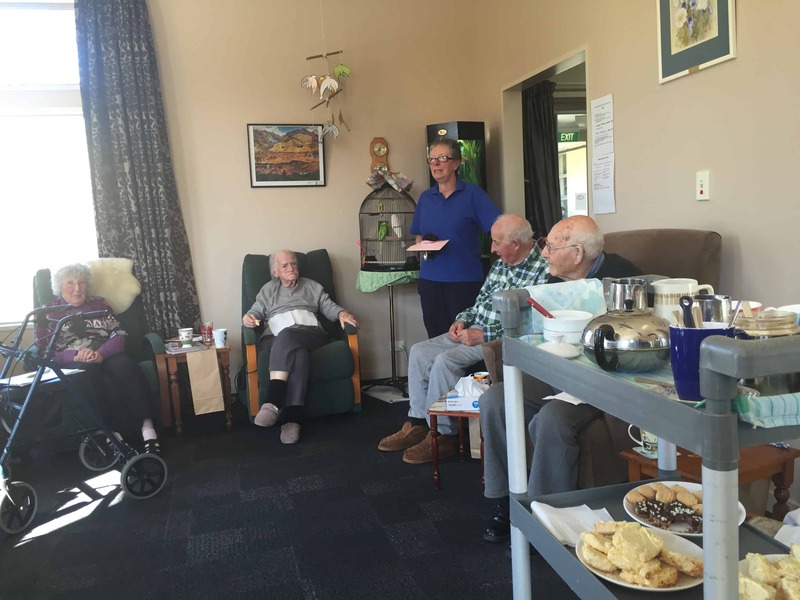 We’re so glad we went because it really was a highlight of our week and we had the bonus of an afternoon tea with the residents and staff. Haven’t had proper homemade scones for a long time. I checked with Barbara and she said the folk are fine with me posting some pics of them enjoying their afternoon. In fact Barbara is an interesting person, working at the home and then also spending time with special ed kids at the local school. 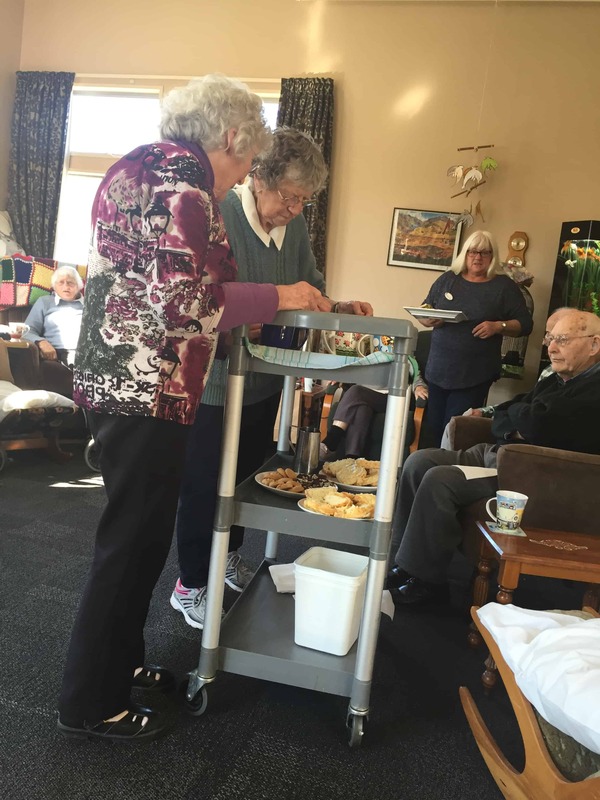 Barbara brings her elderly mum to work with her each day, for the company. Anyway, back to Jan. She is a very confident speaker and kept her audience interested and entertained with her stories of learning and working as a butcher, being successful in what is generally considered a man’s world. Jan and her siblings were raised by their father in Invercargill, at the bottom end of the South Island. Growing up, Jan’s job in the family was to do the shopping and as a result she developed great relationships with the local butcher and his staff. The blokes would joke around and tease Jan and it was during this time Jan told her family that if she was a boy she’d become a butcher because they always seem to be having such a great time. It’s funny to think back to those days when work and careers were very much stereotyped. I don’t suppose a girl would say that today. At around age 16 the local butcher gave Jan her first break into the trade by offering her some holiday work sweeping the floors and doing deliveries then finally an apprenticeship. 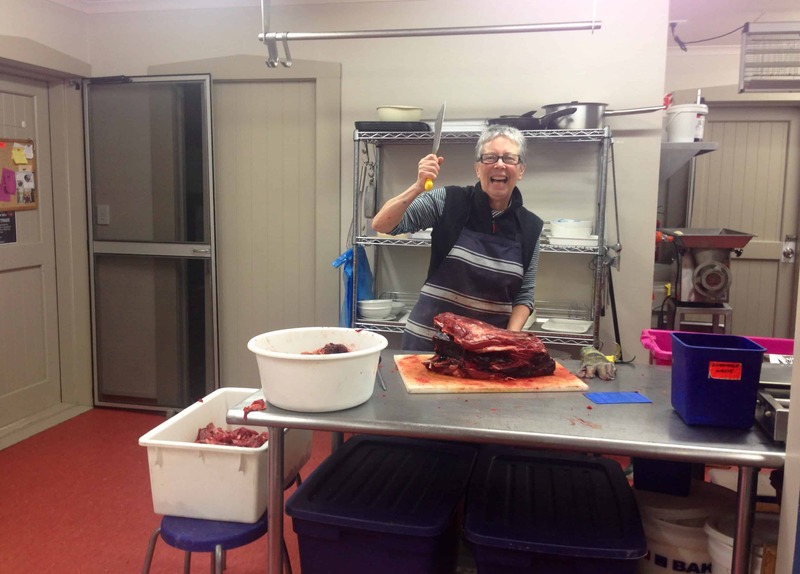 Jan was one of NZ’s first female butcher apprentices and the only girl in her training class. She must have been an adventurous and ambitious young woman because not long after she finished her apprenticeship she moved over to Australia, working in Melbourne, Sydney and Wollongong. She returned to NZ after 15 years having gained valuable skills and experiences working with butchers from all around the world. 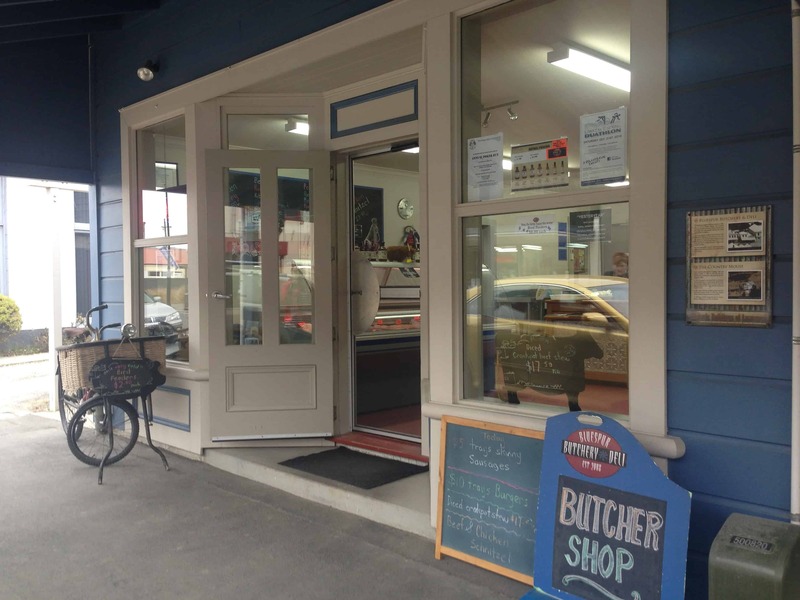 Jan finally achieved a long-held dream of opening her own butcher shop in a small town, and Lawrence is very lucky to have not only a fabulous butcher but a lovely, genuine, engaging person as part of their small community. And by the way Jan makes the best sausages! Just like they used to taste years ago, just like they should. Jan, processing what was a massive piece of venison. 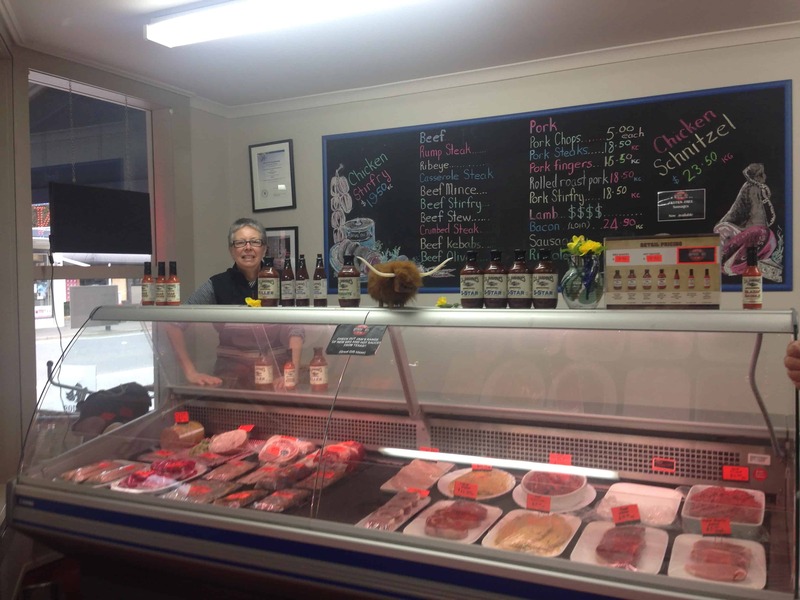 Jan says running her own butcher shop is a real challenge and a great joy.